Mint Electronics | My adventure in the electronics world! I would just like to thank my followers for following my blog and supporting it. Unfortunately this blog is now inactive and I will not provide any more content in the future. However the blog will still be online if (hopefully) somebody finds some of the information on here useful. Hello my subscribers and guests! I would just like to take this opportunity to say that I may stop blogging for a while. I have been losing interest in electronics and hence I have nothing to write about. I am hoping this is momentary, but for now, keep subscribed to know when I release new content! Recently I have acquired some IV-6 Soviet Numitron Tubes. 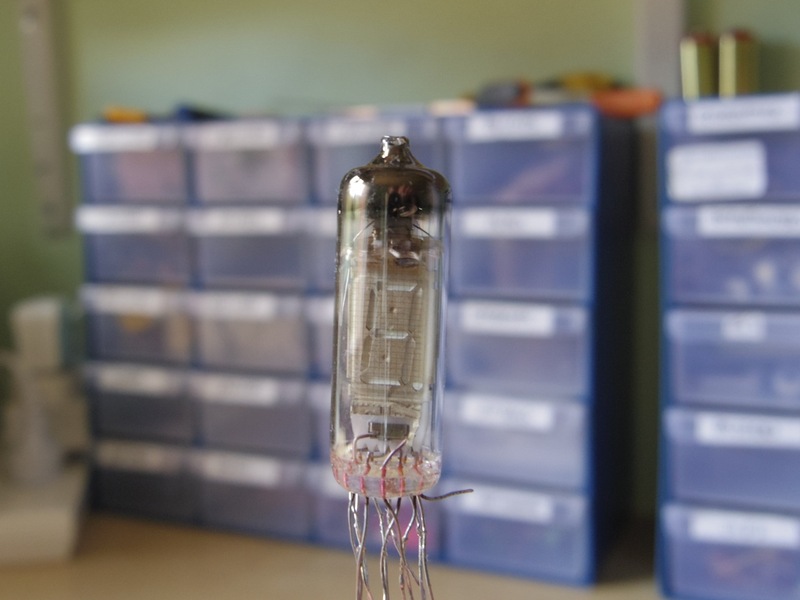 Numitron tubes are just similar to normal vacuum tubes, but they run on low voltage and current hence making them highly attractive for low power project use. The Atten APS 3003S/3005S is an entry-level power supply designed for use by hobbyist and by students in school labs. The two models, the APS3003S and APS 3005S are almost exactly the same, but there are slight design differences and specs between the pair. The 3003S features a maximum current output of 3A and the fan is constantly on. The 3005S model features a maximum current output of 5A and the fan is controlled by a thermostat, which monitors the temperatures of the heat sinks from the two power transistors and discussed later on. This series of power supplies is usually seen sold on eBay for a relatively cheap and fair price of around about $100, which means that it is easily obtainable for both hobbyist and school use. It can output 30 Volts at 3 or 5 Amps depending on the model and it does also have some very promising specs. Every lab needs a proper power supply for many purposes such as testing electronic circuits, charging batteries and for just burning things up :D. I’ve been needing a proper power supply for my lab for a while now and after searching for a bit I decided to buy this power supply because I was unable to find another power supply in the same price range with the specs that this unit offered. Now after receiving and using the power supply for a bit, I am able to provide a full review and a small teardown of the supply. 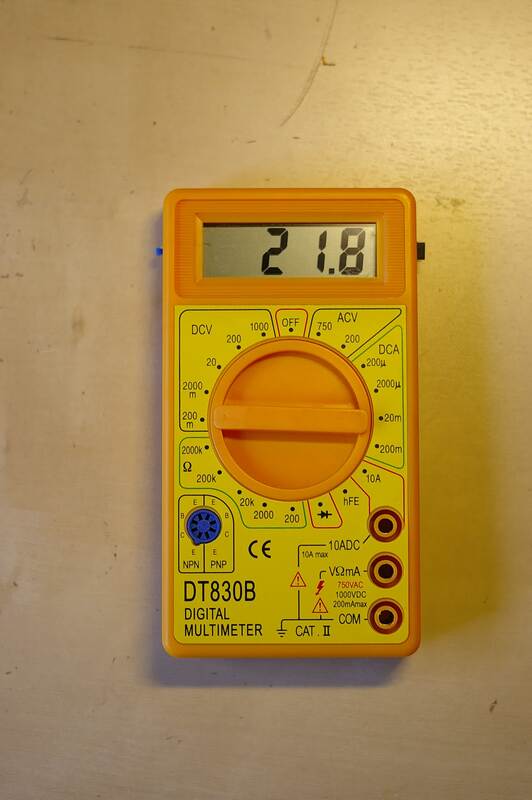 Remember that $4 multimeter that I took apart? Well, I still have it. And its not very reliable nor useful. So, I have decided to make it useful! How you may ask? Well, I am going to make it display temperature so I can estimate the temperatures of different components and heatsinks. This is based on a tutorial by Embedded Lab, so I take no credit for the idea of this build. Here is the link to the project: http://embedded-lab.com/blog/?p=4951. 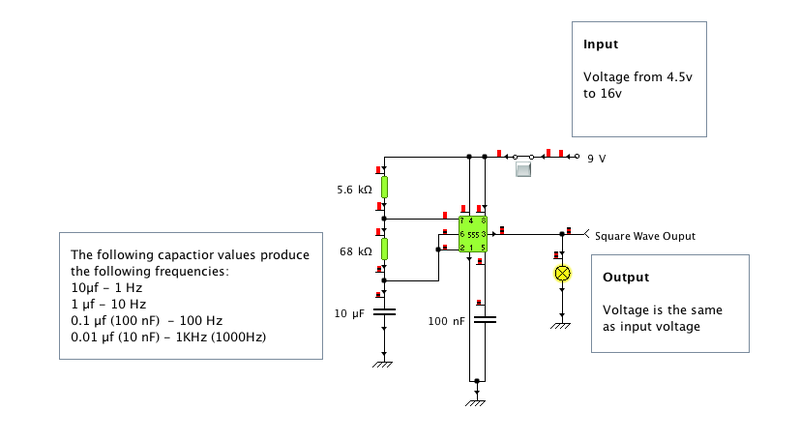 I was thinking about doing a tutorial, but it’s already on Embedded Lab and I don’t want to plagiarise so I am just going to go through how I built this and a few modifications that I have made to the original circuit. Recently I have been in need for a proper power supply as I have been tired of using the LM317 power supply that I first made. After a lot of research and searching I have finally made the decision to buy a cheap power supply just for the moment, while I am still trying out very simple circuits which do not require a specialised power supply for them. My choice of power supply finished at the Atten 3003S. Since I already have another Atten product – The 858D+ hot air rework station (as seen in the background of the image below) and I because I was very pleased with the construction and the quality I decided to go along and order the power supply. The price for the 3003S is just under $100 which is a perfect price for an electronics hobbyist. 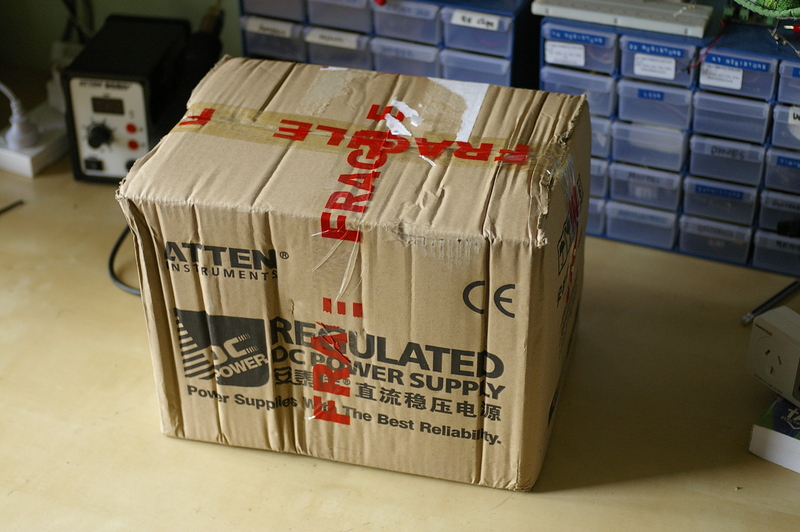 The power supply took about 3 days to order since it was coming from an Australian seller (eBay seller “carmates”) and not from overseas. Upon receiving the product I was very surprised that they shipped it in the original box instead of putting in into another box for protection. Luckily the power supply survived the journey and was received in excellent condition.